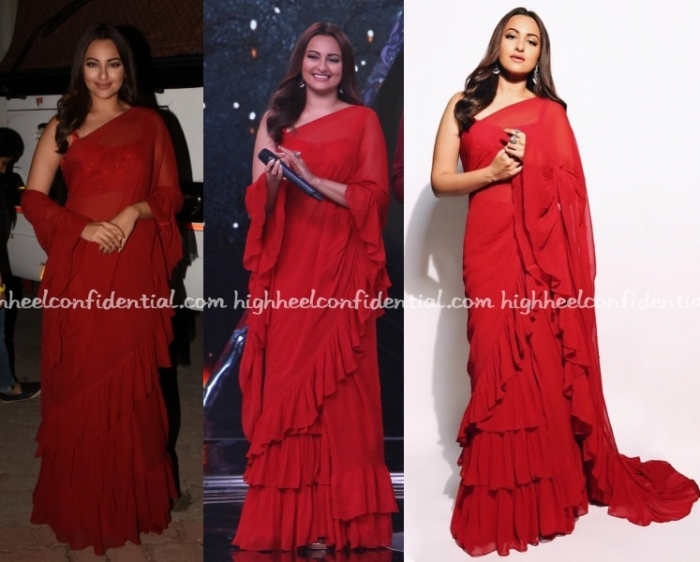 Promotions for Kalank saw Sonakshi in a red Arpita Mehta sari on Sunday and Anamika Khanna separates on Monday. Have a favorite? We thought she looked good in both! Wearing a cheery Arpita Mehta lehenga, Shilpa taped another episode of Super Dancer on Monday. She sure looked lovely. Also, aren’t you glad she gave those sari-inspired outfits a break? Latest round of movie promotions had Kriti reaching for a dress by Arpita Mehta. Personally, the dress is a touch too fussy for me… Kriti to her credit though sure wears it well. Wearing a blue sari (by Arpita Mehta), Janhvi attended a ceremony organized by the Norwegian consulate on Tuesday evening. She sure looked lovely. Who else was instantly reminded of Sridevi from Mr. India? Another day, another round of promotions. 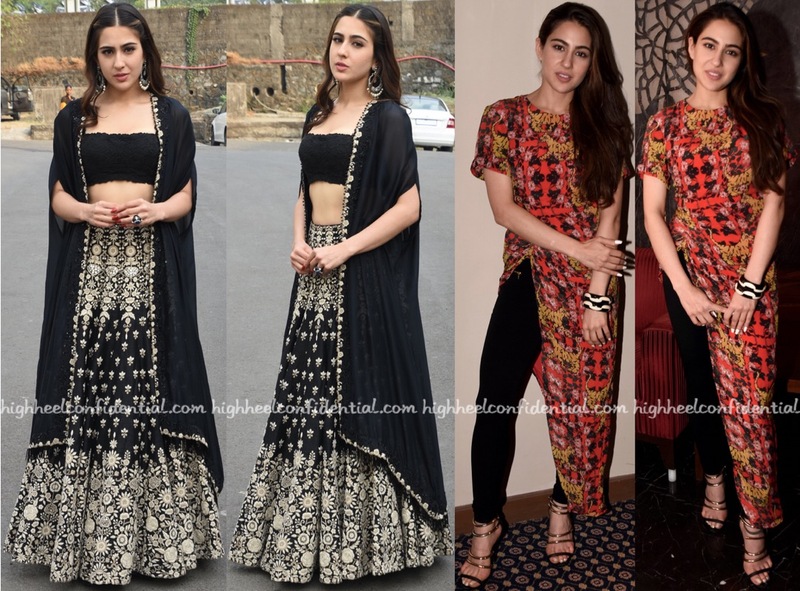 For her appearance on the sets of a television show, Sara picked an Arpita Mehta lehenga to wear. 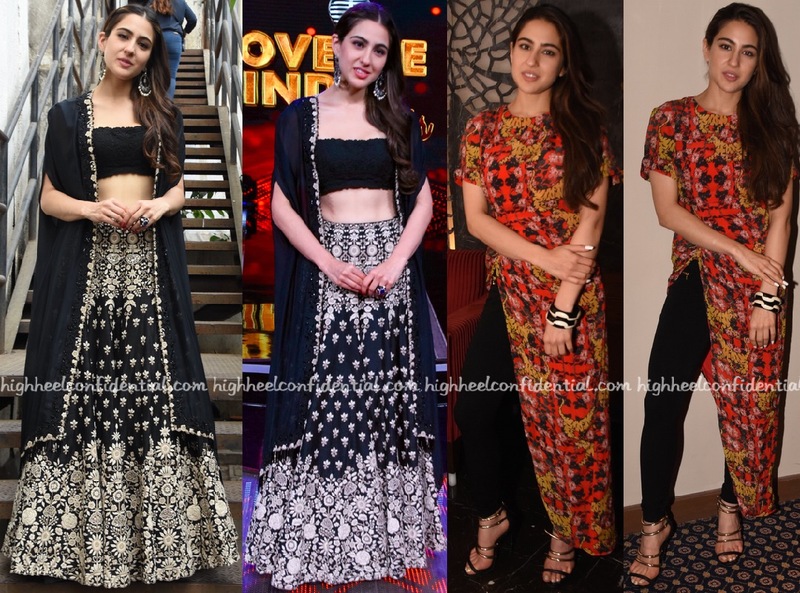 And while at another event, she teamed her Masaba top with a pair of skinny black jeans. Though she wears both well, much prefer her in Masaba. On a different note, why does everyone go the ott route on television?